Once open for business, Zimbabwe is closed for business. Shops are closed, people are scared and companies are closing just as is the democratic space that President Emmerson Mnangagwa opened up when he took power through a coup in November 2017. Loads of goodwill that the international community had for Mnangagwa almost two years ago are evaporating, up in smoke as the so-called new dispensation shows the world that indeed old habits die hard. Instead of opening up the Internet, Mnangagwa is closing it, instead of opening up companies a severe shortage of foreign currency has led to industrial contraction. Companies like Capri, and Surface Wilmar have since closed shop and more are threatening to follow suit unless government bails them with greenbacks. Mnangagwa's surprise increase of fuel prices by almost over 150 percent backfired when usually patient Zimbabweans barricaded roads as they enforced a three-day nation-shutdown that had been called by the Zimbabwe Congress of Trade Unions (ZCTU) to protests the "unjustified price increases". Before last Saturday Zimbabweans were paying around $1,40 for a litre of petrol but now after Mnangagwa announced the increases they have to pay through their noses, a cool $3,30. But, usually pliable Zimbabweans could bend no more, they snapped and through collective anger stopped from going to work with unemployed youths in the country's townships fighting running battles with armed security forces. Police stations were raided, buildings and vehicles were burnt and officers were also given a hiding by irate protesters, shops too were not spared as criminals went on a looting spree taking advantage of the commotion. In response, Mnangagwa borrowed and perfected his predecessor the despotic Robert Mugabe's old tricks. Evan Mawarire, a pastor who was once locked up by the authorities when Mugabe was still in power was last week locked up by Mnangagwa's new dispensation along with hundreds of other Zimbabweans who were found foul of the law. According to Steve Hanke, a professor of economics at the John Hopkins University in the United States, Mnangagwa is another Mugabe in a new suit. "Now, a new dawn has arrived. Zimbabweans realise that Mnangagwa is simply Mugabe in a new suit and with new rhetoric. The reality is one in which the economy is controlled by what in essence is an organised criminal syndicate: the Zimbabwe African National Union-Patriotic Front (Zanu-PF) party — the same syndicate that has run Zimbabwe into the ground for over 35 years. "Zimbabweans also know through the brutal experience of two recent hyper-inflations, the Zanu-PF governments are stunningly incompetent when it comes to Zimbabwe's fiscal and monetary affairs," said Hanke. There is no official number of people who were killed but according to the Zimbabwe Human Rights Association the number could be as high as five with pictures of people with hideous wounds being circulated on social media, but that was before the State Security minister Owen Ncube switched off the internet. United Kingdom-based academic Alex Magaisa said under cover of darkness, in Zimbabwe's townships like Chitungwiza, Mzilikazi and Warren Park where Zimbabweans are being brutalised with no one to rescue them. "Back in August and on Monday, it was easier to follow events as they happened due to the glare of international media and social media. People told their stories in pictures and videos. It was there for all to see. Now, six months after the election, with the world media long gone, it's a dark and secretive world. It's dangerous, brutal and unforgiving. "As ever, human individual rights are among the casualties of repressive measures under the guise of law enforcement. The risk, as always, is the use of excessive and disproportionate force. In this case several rights are at risk: rights to life, personal security, free speech, access to information and the right to human dignity. "The Internet and social media blackout means millions of citizens have been silenced to the world. They cannot tell stories of their suffering. Their voices have been muted. It's a calamity. A human-made calamity," said Magaisa. According to the Zimbabwe Doctors for Human Rights (ZDHR), soldiers bayoneted people in townships, indiscriminately targeting any man even those who could have had a powerful alibi, the clampdown followed a familiar script that Zimbabweans are all too aware of. A respected voice on the country's tumultuous politics Eldred Masunungure told the Daily News on Sunday that the closure of the Internet will blow in Mnangagwa's face and his attempts to reengage the world are now up in flames. "They fear an Arab Spring; they think they will manage the situation by ensuring that there is no flow of information for what they see as a volatile situation. The regime sees this stay-away not as a way of expressing anger by the citizens but as a regime change agenda and they want to curb that," said Masunungure. Since he came to power Mnangagwa has tried to portray himself as a reformer, promising to observe the rule of law, and opening up liberties that were limited during the Mugabe era but that heavy make-up is now peeling off. According to Masunungure there are contradictions in Mnangagwa's government with his own camp having to contend with the camp led by vice president Constantino Chiwenga who is the acting president. "There are contradictions within the regime. Mnangagwa wants to project himself as a democrat and as a transitional leader but within the regime they are some who want to maintain power through the use of force, I am not sure who is in charge here, it may be a case of one hand doing one thing that the other does not know, the international community and investors will obviously be discouraged by what the regime is doing, I haven't heard what ED has said on the crisis but the acting president is a military man who should be pleased by the status quo and the banning of social media," said Masunungure. For Mnangagwa, the demonstrations could not have come at a worse time, he is set to go to Davos for the World Economic Forum, a grand stage in Switzerland where world political leaders meet with the rich and famous and potential investors. His home is burning, and certainly not open for business. Professor of World Politics at the London School of Oriental and African Studies Stephen Chan said Zimbabwe is going down the cliff unless Mnangagwa goes for his own. would ensure the oligarchs contribute to national recovery. "That would be President Mnangagwa at his most daring, and he is most unlikely to risk his internal party support by mandating his minister of Finance to move in this direction...my feeling is that Zimbabwe is in for a long period of decline. Not a slide downwards. A clattering traumatic falling down the stairs," said Chan. During the shutdown, the government had no tax to collect, the countries' borders were closed, some airlines cut flights to Zimbabwe and schools and hospitals were also closed. According to the president of the Confederation of Zimbabwe Retailers (CZR) president Denford Mutashu, the crippling shutdown cost business dearly. disturb peace, stability and tranquillity. "Engagement and dialogue are key to resolving issues. This culture of violence should be shunned by all well-meaning Zimbabweans," Mutashu said. In a video that was circulating on social media Bulawayo's Pumula residents were seen looting groceries from one leading supermarket. Goods worth thousands of dollars were reportedly lost to the rowdy protesters. Vendors also encountered severe loses as they also had to keep their goods, some of which have a short shelf life, at home till the end of the shutdown. Survival Vendors Union of Zimbabwe director Obey Mwariwangu told the Daily News on Sunday that vendors are behind the shutdown but the losses experienced cannot be ignored. "Some of our vendors sell perishable goods. Some had ordered stock and after two days their goods were almost rotten especially mangoes and vegetables. "We lost over $500 000 as vendors make around that amount from selling their different wares per day," Mwariwangu said. He urged government to take responsibility and address the critical situation faced by Zimbabweans. "We support the stance taken by Zimbabweans against sky rocketing prices. I think it's a noble cause but the president has to understand that we are in a crisis. "They cannot expect a person from Chitungwiza to use $10 and government should address the situation as soon as yesterday," he added. This comes as Zimbabwe Revenue Authority's Trade Union (Zimratu) also joined the stay- away last Monday as they released a press statement alerting that some of them won't be able to report for duty due to incapacitation. "The bus fare to work is $10 return trip against the $3 return trip being paid by the employer. Most of our workers are unable to report for duty with effect from January 14 due toincapacitation," Zimratu president Dominic Manyangadze said. This comes as transport operators are also taking the heat of the shutdown as they parked their vehicles fearing persecution by protestors as they also hiked fares due to the new fuel prices. 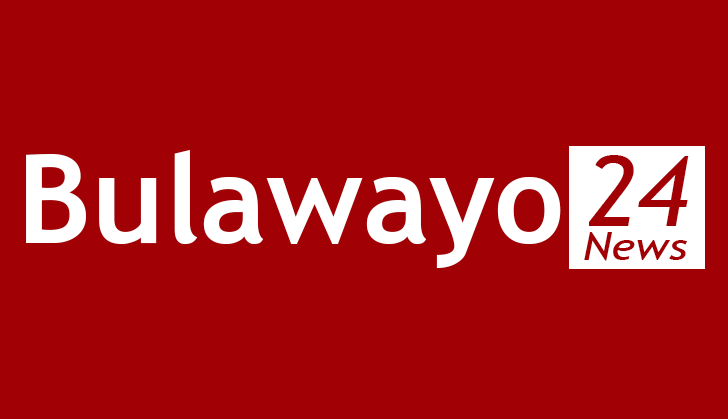 Bulawayo's transport association, Tshova Mubaiwa marketing director Ndaba Mabunda said they stopped operating as they feared for the safety of their employees. Despite also encountering losses he said his organisation believes the shutdown was for a good cause as Zimbabweans endeavour to be heard. "One Kombi brings in $100 per day and we could have made a lot of money during those three days. However life is more important and we are better safe than sorry. "We would rather keep our vehicles than lose them to protestors," Mabunda said. Typically, government through its propaganda desk, the ministry of Information, Publicity and Broadcasting Services blamed opposition parties for the violence. "The events of the past 36 hours have been characterised by well-coordinated criminal behaviour, a destructive and violent pattern which includes murder of a police officer, Constable Maune of ZRP Entumbane, Bulawayo, who was stoned to death in cold blood, and the injury of several others, barricading of roads and extorting money from motorists, reckless destruction of infrastructure such as bridges and tollgates, callous burning of school bus and at least 30 motor vehicles, looting of shops in Chitungwiza Town Centre, Harare, Bulawayo and Kadoma, harassment of innocent members of the public, disruption of children's lessons in schools, forced closure of business entities, attempts to overrun police posts and steal weapons, destruction of property, unlawful possession and discharging of fire arms in public, attacking and robbing tollgates of cash," Information minister Monica Mutsvangwa said.